FAMILIES are being urged to plan ahead – and get ready to don their trainers in the Redcar family Fun Run. Mums, dads and children of all ages are invited to stretch their legs and improve their fitness in the 3km fun run while up to 2,000 others take part in the Redcar Half Marathon. The run which will be organised by Tees Valley Leisure in partnership with Redcar & Cleveland Borough Council and sponsored by Redcarand Cleveland PCT, will also help raise badly needed cash for many worthy causes. Paddy Corcoran, from Tees Valley Leisure is keen to make the event bigger and better this year and urges as many families as possible to enter early and join in the fun. He said: ” We are hoping the family run will attract 1,000 adults and children as there are so many benefits. Its a great chance for families to start getting fit and families will really enjoy the atmosphere on the day and the thrill of crossing the finishing line. Its a winner for everyone. “Whats more, it will be part of a fun-packed day with free childrens entertainment and music provided by local Radio stations. It will be a great day out for the whole family and is not to be missed, ” added Paddy. The run is on a safe, off-road course and will start at the famous Toasting Gate at the picturesque Kirkleatham showground. All entrants will receive a goody bag containing an exclusive t-shirt and Tees Valley Leisure vouchers. 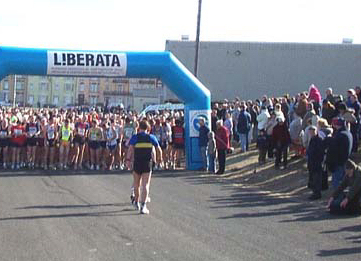 Through the support of Redcar & Cleveland PCT and in line with the current current economic climate, the organisers have not increased the entry fee for the 2009 Fun Run in a bid to boost entry levels and to ensure that as many people as possible pursue a fit and healthy lifestyle. Peter Price, Locality Director of Public Health for Redcar & Cleveland, commented: ” We are delighted to be sponsoring this superb community event. Not only does it kick start a healthier lifestyle, but it also helps people of all ages get fit in a very safe environment in the lovely surroundings of Kirkleatham Village and Showground. As well as being a fantastic day out for all the family, it will also give a real boost to a number of local charities. “In partnership with TeesValley leisure and Redcar & Cleveland Borough Council, we are planning to work closely with local primary schools to encourage participation in the event to promote healthy living and the fun of keeping fit, ” said Peter.